Simon & Schuster, 9781476712079, 464pp. The First American-Afghan War, a CIA war, was approved by President George W. Bush and directed by the author, Robert Grenier, the CIA station chief in Islamabad. Forging separate alliances with warlords, Taliban dissidents, and Pakistani intelligence, Grenier launched the “southern campaign,” orchestrating the final defeat of the Taliban and Hamid Karzai’s rise to power in 88 chaotic days. In his gripping narrative, we meet: General Tommy Franks, who bridled at CIA control of “his” war; General “Jafar Amin,” a gruff Pakistani intelligence officer who saved Grenier from committing career suicide; Maleeha Lodhi, Pakistan’s brilliant ambassador to the US, who tried to warn her government of the al-Qa’ida threat; “Mark,” the CIA operator who guided Gul Agha Shirzai to bloody victory over the Taliban; General Ashfaq Pervaiz Kayani, a cautious man who became the most powerful man in Pakistan, struggling with Grenier’s demands while trying to protect his country; and Hamid Karzai, the puzzling anti-Taliban insurgent, a man of courage, petulance, and vacillating moods. Grenier’s enemies out in front prove only slightly more lethal than the ones behind his own lines. This first war is won despite Washington bureaucrats who divert resources, deny military support, and try to undermine the only Afghan allies capable of winning. Later, as he directed the CIA’s role in the Iraq War, Grenier watched the initial victory squandered. His last command was of CIA’s CounterTerrorism Center (CTC), as Bush-era terrorism policies were being repudiated, as the Taliban re-emerged in Afghanistan, and as Pakistan descended into fratricidal violence. 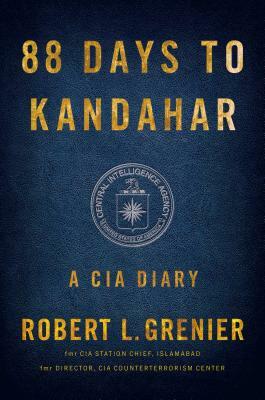 Robert L. Grenier had a much decorated, twenty-seven-year career in the CIA’s clandestine service. A renowned Middle East expert, he has been deputy national intelligence officer for the Near East and South Asia. He organized the CIA’s Counter-Proliferation Division and headed the CIA’s basic training facility, “The Farm.” From 1999 to 2002, he was CIA station chief in Islamabad. Subsequently, he was director of the CIA’s CounTerterrorism Center, responsible for all CIA counterterrorism operations around the globe. Currently, Grenier is chairman of ERG Partners, a consulting firm to businesses in the intelligence and security sector. Visit Robert-Grenier.com.